GlobeConsult has developed considerable expertise in various state-of-the-art technology. Projects have included analysing various wireless and wired networks, switching and signalling protocols and technologies, researching goods and services suppliers, developing feasibility studies, and producing comprehensive strategic and business plans, and business cases. GlobeConsult has an extensive background implementing and managing wireless systems of all kinds, including: WiFi systems, HF radio, paging, trunk radio, cellular, airlink and satellite technology, as well as wireless access systems such as: Spread Spectrum high capacity systems, local multi-point communications facilities (LMCS, LMDS and MVDS) and wireless local loops. We can provide the necessary planning, engineering and deployment of the complete system, including engineering the necessary antenna locations, land links and switching requirements, as well as tailoring the economic number of antennas, radio channels and cell sites to accommodate the desired coverage area. We can also review your current applications and service offerings, looking at items such as numbers of subscribers, coverage, services provided, "churn" rate and revenues to improve your technical and financial operation..
GlobeConsult has been involved in many small and large transmisson projects. We use the most knowledgeable staff having vast experience in all types of transport systems including, digital microwave radio, including, SONET/SDH OC-3 radio, small capacity DS-1 rate systems and Ethernet LAN bridges; fibre systems using DS-3 and SONET-based technology providing OC-1 rates through to OC-256 optical rates; cellular/PCS/PCN; WLL (wireless local loops); infrared and coaxial technologies. Network Planning and Design of all networks including; simple point-to-point and multi-point, 911 PSAPs and other N11 systems, VoIP, PBX, PSTN, WAN, MAN, LAN,VLPS and wireless in community and rural. Considerable expertise analysing analogue in-field emergency communications systems and subsequent upgrading to digital systems such as, LTE (Long Term Evolution), P25 (Project 25) and upgrading existing analogue system to Simulcast. We can handle all facets of the network planning process, from the inception of the project through to service implementation. This includes: the numbering and dialling plan, the charging plan, routing considerations, transmission requirements, the signalling plan, and the technical and construction details. 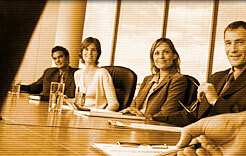 We have an extensive background managing networks of all kinds. From simple point-to-point networks to complex multipoint-to-multipoint distribution systems in 911 PSAP, LAN, MAN, WAN, local access, inter-exchange, long distance, backbone, and community and rural environments. We have the necessary expertise working with the latest transport and access technologies. We can recommend specific network topologies for each unique situation. We can offer network planning expertise for all types of telecommunications requirements. We will ensure that fully experienced resources are provided to ensure each project has the appropriate personnel to meet the objectives of the customer. Our approach to Organizational Analysis and Planning has the primary objective to provide the type of organisation for its clients that will ensure the recruitment of highly qualified personnel who will strive to provide the best possible customer care and service. We will ensure that a proper environment is available to foster motivation, sustain good work ethics and provide the necessary incentives to innovate staff. We will organise an effective human resources group who will ensure only specialised, very motivated staff are available in each department. They will be committed to training and resource development which will create an excellent internal communications network with strong accountability and perfomance measurement. We will complete a comprehensive analysis of your operation over five years and provide a complete assessment of your requirements. GlobeConsult provides technical writing skills for all types of technical and professional documents and reports. These could include among other types; RFPs, needs assessments, technical reviews, interim and final reports, product definition and reviews, etc. Our process starts with a review of the project and preliminary outline. We will perform the complete job from creating a the original document, developing the outline, proofreading your writing and issuing the final document. We will reduce writer's block and writer's anxiety. We are currently working on a project with PWGSC where we are writing several documants including; Business Plans, SOWS, Pricing Sheets, Evaluation Methodology, RFIs and RFPs. We previuous worked with the Heart and Stroke Foundation of Canada & IT/Net reviewing, developing and rewriting their Policy and Procedures manuals. �This includes providing consistent, better-flowing documentation with proper tables of content, flow charts, and references for the HSF Grant-in-Aid and HSF Research Fund Initiatives, and Personnel Awards. We recently developed the technical documentation for three specific Health Canada programs This included an options analysis for the long-term preservation of patient records for the Health Canada Information Management Department - First Nations Inuit Health Branch (FNIHB). Secondly, this included defining and setting up an Essential Records Program, which would comply with the overall the Health Canada Essential Records Program thereby supporting the continuity and maintenance of FNIHB's operations if interrupted. Finally, this included a Health Record Management (HRM) Capability study to define the requisite HRM capability, develop supporting tools, and provide a high level implementation plan for the First Nation and Inuit Health Branch (FNIHB) of Health Canada. GlobeConsult has an extensive background establishing and managing networks of all kinds. From simple point-to-point networks to complex multipoint-to-multipoint distribution systems in 911 PSAP,LAN, WLAN, VPLS, MAN, WAN, local access, inter-exchange, long distance, backbone, and community and rural environments. We have the necessary expertise working with the latest transport and access technologies. We can recommend specific network topologies for each unique situation. We can provide all telecommunications consulting for all switching applcations and technlogies. We will ensure that appropriate expeienced resources are available to provide each project with the necessary personnel to meet the objectives of the customer. Whether it be small-sized routers and hub switches for the LAN environment, large-sized ATM switches for more complex applications, remote switching units for the rural requirements, PABX switches for business applications or large digital switches for the Public Switch Telecommunications Network (PSTN) environment, we have the expertise to assists all clients. We can offer operational expertise for all telecommunications requirements. We will provide fully experienced resources to ensure each project meets the operational objectives of the customer. This includes the pre-operations planning, implementation activities, network operations planning, organizational analysis and planning, and training and transfer of technology. Our Pre-Operations Planning has been developed from many years experience overseeing pre-operations activities in many countries. This includes: performing comprehensive due diligence reviews, producing detailed commercial forecasts, commissioning and analysing field surveys, reviewing existing telecommunications construction plans, detailing specific pre-operational staffing requirements, finalizing and confirming all previous marketing studies, and other activities necessary for a smooth and seamless implementation. Our engineering and technical staff are experienced in all areas of implementation planning. Each scheduled event is put into a critical path analysis to determine the impact each activity has on the other and to ensure the process is performed effectively, efficiently, well coordinated and in a seamless manner. Comprehensive test cases are produced and the verification process is conducted using simulated traffic and conditions similar to the live network before any networks are placed into service. Our Newtwork Operations Planning has been developed the latest network strategies which provide the new thrusts necessary to drive additional planning processes. These planning activities generate new projects and plans. They basically include the Operation, Administration, Maintenance and Provisioning (OAM&P) network management aspects of the Open Systems Architecture (OSA) business model.